“Thanks to the generous support from The Wetland Foundation, I was able to travel to my many field sites over the course of 2018. The central goal of my research this past year was to identify the feeding preferences of an important salt marsh herbivore, the lined shore crab (Pachygrapsus crassipes). In coastal salt marshes, plant-eating crabs can influence plant productivity and plant species zonation, thereby influencing salt marsh functioning and integrity. Salt marshes provide numerous ecosystem services, such as refuge for endangered species (e.g. the California Ridgway’s Rail), water filtration, and shoreline protection. Management and restoration can maximize the protection of these services. However, salt marshes in the United States continue to see declines in areal and vegetation losses, and increases in marsh fragmentation. By affecting plant biomass, herbivores may have strong impacts, both positive and negative, on salt marsh structure and function. 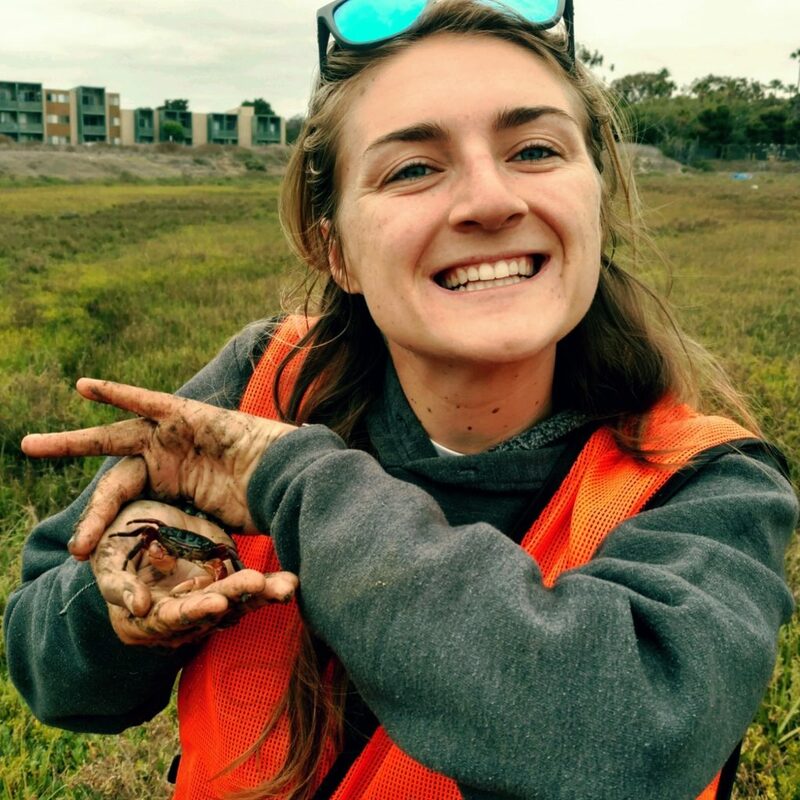 Understanding how crabs can impact plant communities in California salt marshes is important when predicting the overall effects of crabs on salt marsh functioning and predicting overall vegetation loss or change.